…is a phrase I heard Zen master Thich Nhat Hanh use when I was on retreat with his sangha. If you have not come across Thay (meaning teacher in his native Vietnamese, and the term affectionately used for him by his followers), then I suggest it’s a very worthwhile Google search. His “engaged buddhism” suggests a path to walk that is gently radical in it’s approach to life: a way of appreciative mindfulness that is a refreshing change from society’s usual mantra of “me, me, me, more, more, more” – and you don’t have to be a buddhist to benefit. It can be life changing to see and hear Thay in person. Just the mindful way he moves and talks is enough in itself to germinate dormant awakening in his audience. He is truly a remarkable man. 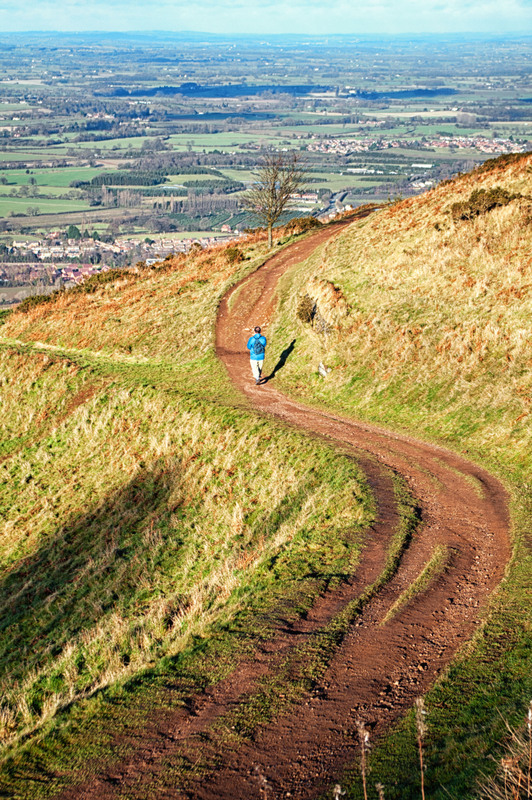 I am lucky enough to live within a days trip to the beautiful Malvern Hills, slap bang in the middle of England. Before I suffered a back injury, I would power walk up these hills with a back pack full of camera gear and then having arrived at the top, walk mindfully until I was inspired to stop and take a photograph. Here is one of those pictures; taken in a moment of personal mindfulness. I’d set up my camera and was able to sit quietly waiting for the conditions to arise to create a nice picture – that’s the meditative path of landscape photography! It seemed an appropriate image for this particular blog entry.